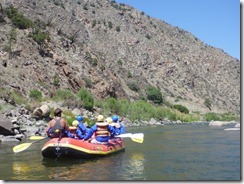 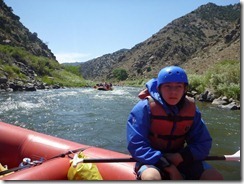 After a quick breakfast at our hotel, we headed out to Canon City, Colorado to raft Bighorn Sheep Canyon on the Arkansas River. 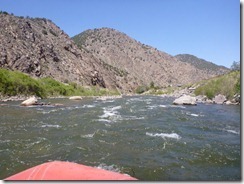 Apparently, this past winter’s snowfall was unusually low, thus the snowmelt has been low. 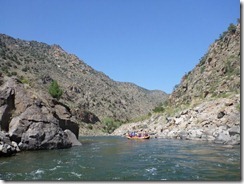 The Arkansas is a free flowing river, unlike most of the dam controlled rivers in the East. 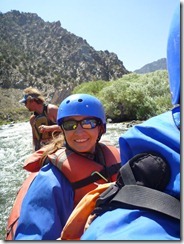 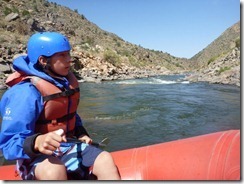 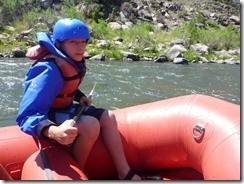 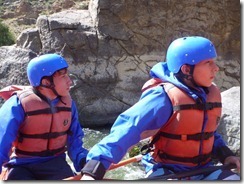 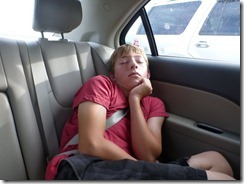 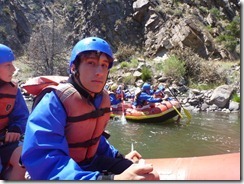 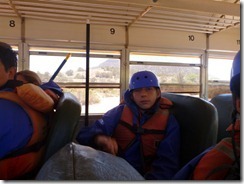 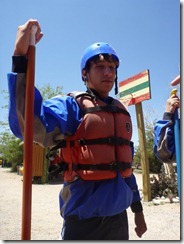 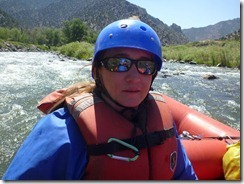 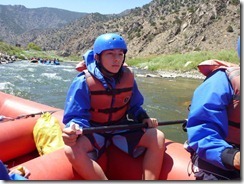 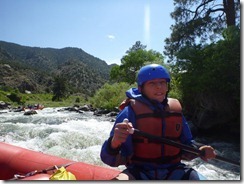 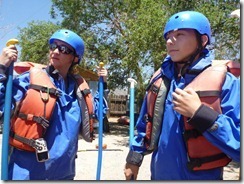 While the rafting was a true class III-IV, like it would be normally, it was still a blast. 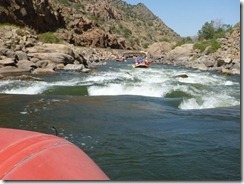 The lower flow still provided quite a few good rapids and more time to enjoy the sights. 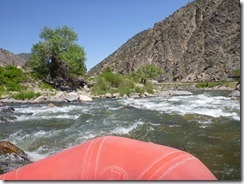 On a humorous note, the outfitter we used named all of their rafts after the family members of the Wonderful Whites of West Virginia. 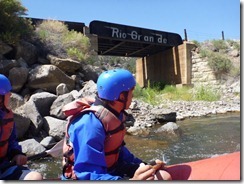 Before rafting we stopped off at lunch at the Owl Cigar Store, in downtown Canon City. 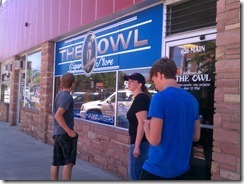 It is a small burger and malt shop, that looks and feels like being in Andy Griffith’s Mayberry, both in looks and prices. 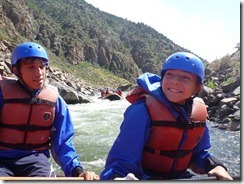 After rafting, we headed back to Colorado Springs for dinner at Texas Roadhouse before packing up for our next leg of our vacation; Keystone and Breckenridge. 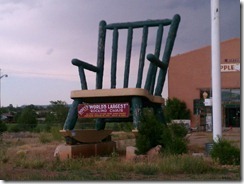 But not before stopping off at the World’s (2nd) Largest Rocking Chair.